From small businesses to ones with up to almost a thousand employees, the SV9100 will scale to meet your needs. Competitive businesses come in all sizes and successful businesses always have one thing in common: great teamwork. In the age of increasingly disparate working locations and job complexity, communications play a crucial part in every organisation’s success. To stay competitive, businesses need to have the right tools that enable them to be more efficient, flexible and productive. NEC has built smart enterprise solutions that leverage technologies to optimise business practices, drive workforce engagement, and create a competitive advantage. NEC’s UNIVERGE SV9100 is the unified communications solution of choice for small and medium businesses who do not want to be left behind. Designed to fit your unique needs, the UNIVERGE SV9100 platform is a powerful communications solution that provides businesses with the efficient, easy-to-deploy, mobile technology that they require. Reliable and adaptable, the SV9100 is built on cutting edge technology all while remaining easy to manage. Boost customer service and agent productivity by routing calls based upon the number called, waiting times, and the time of day. Priority callers can jump the queue by dialling special queue numbers. Being productive is about making the most out of your limited, valuable time and the NEC UC Suite will help you do just that. NEC’s softphone empowers your employees with the communications tools they need to work efficiently and productively, whether they’re in the office or on the road. 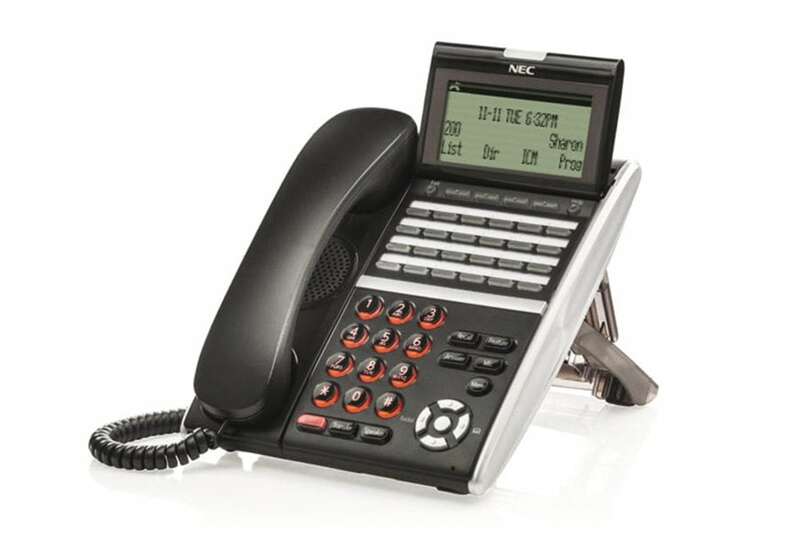 When it comes to desk phones there is no “one size fits all.” With NEC you can choose the phone that best meets your business demands. From 2-144 buttons and from no display, through multiple greyscale screens to a full colour touch display you are sure to find the perfect phone.